Welcome to Farmers Lodge No. 153 F. & A.M. 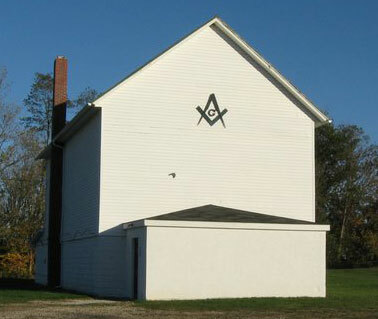 Farmers Lodge received it's charter from the Grand Lodge of Ohio on September 22nd, 1848. The Lodge is located Fredonia, Ohio on the SE Corner of SR 661 & CR 16 (Chestnut Hills Rd) in Licking County and is part the 19th Masonic District of Ohio. Our stated meetings are held on the 1st Tuesday of each month at 7:30pm and meet year round. The Lodge is located in a rural setting, and continues to make its presence known in the local community by volunteering at the Hartford Fair to assist the McKean Community Organization (MCO Club), providing sponsorship to the local Little League baseball teams and providing assistance for local families of the community who are in need. The Lodge is also a very charitable Lodge which continues to give annualy to the Ohio Special Olympics, the Grand Lodge Charitable Foundation, and the Ohio Masonic Home, along with other various charities. We thank you for visiting our site! Please take a look around, as we have something for both masons, and non-masons alike. We have been making a lot of changes and updates to the site so we hope you enjoy it! As always, please check back often and be sure you visit our calendar to join us for an event!